MAT 2019 Registration for May exam has been started from 11th March 2019. 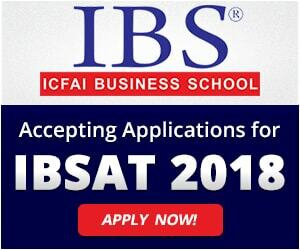 Check here for application form details. MAT 2019 Exam Dates for May exam has been released. Check here for details. MAT 2019 Result for February exam has been released. Check here for result details. Sections: It will be consisting of five sections. Make a schedule/time table in such a way that every subject will get covered while exam preparation. Try to give most of your time for self study. It will help to score good marks. Question: Which are the months in which MAT exam take place? Answer: MAT exam is conducted 4 times in February, May, September and December month. Question: When the application form will be released for May session? Answer: The application form of MAT 2019 for May session has been released from 11th March 2019. Question: What are the number of attempts limit in MAT? Answer: One can appear number of times in MAT exam. Question: What is the minimum and maximum age limit to apply in MAT 2019? Answer: There is no minimum and maximum age limit to apply in MAT exam. Question: What are the minimum marks to be obtained in the qualifying exam? Answer: There are no prescribed minimum marks by the exam conducting authority. Question: How should I come to know that for which institution I have selected? Answer: If you are selected by any institution, then they will send you the email to your email Id regarding your selection. Question: What are the topics from which MAT 2019 exam syllabus will set? Answer: The question paper will be consisting of the topics such as Language Comprehension, Mathematical Skills, Data Analysis and Sufficiency, Intelligence and Critical Reasoning and Indian and Global Environment. 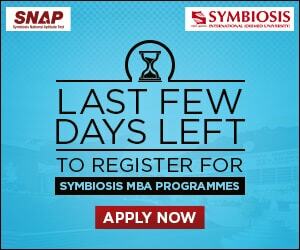 Candidates will download their admit card from 29th April (PBT) and 13th May 2019 (CBT). Different admit cards will be generated for both computer based test and paper based test. Candidates can get their MAT 2019 admit card by entering the online application number, date of birth or email Id. Candidates must take a printout of the admit card as without it no candidate will be allowed to enter in the written test venue. The admit card for written test does not sent by post or email. The authority has released the result after one or two weeks of the examination date. Candidates those have appeared in the exam can check get their MAT 2019 result through online mode. The result for February exam has been published on 2nd March 2019. The result can be checked by entering the roll number and application form number according to the month of test. For May exam, candidates will be able to check the result on or after 24th May 2019. The candidates can approach the participating MIs along with their score card for admission. Candidates have to apply individually to each of the participating institutions. Each MI has its own selection and eligibility criteria to offer admissions. The selection process may be comprised of Group Discussion, Personal Interview/Written Ability Test (WAT) rounds depending upon the institution. Final admission will be provided on the basis of candidate’s performance in entrance exam and further rounds followed by the verification of documents. Hi,I am taking MAT on may 2019 and am thinking to take an admission in 2019 itself,so how do I get to know that in the given list of colleges,which colleges will be accepting May 2019 MAT for the admission to batch of 2019-2021? If i will give mat in may 2019 then is it eligible for 2019 admissions? Click on the link of MAT 2019 admit card given in our article to download it. How to get admit card for mat exam? Is it mandatory to appear in both the Phase 1 and phase 2 of PBT? How many times can we attend mat exam at one registration??? One registration for one time. send me a list of colleges that accept mat score? My dream was a computer engineer. But Due some issues I can’t complete my engineering and Now I’m completing my graduation With B.com. I’m little bit of interest with logistics and Warehousing management. And Now I’m preparing for upcoming MAT Feb,19. Now my question is have any Scope or courses In MBA with is IT related and Warehousing management and logistics ? Plz Sir/Mam I want a detailed Description about it I’m from Kolkata. Are the Students having backlogs in any semesters allowed to take up this test ? Is there any negative Marking in MAT? where are the exams centers in kerala? CBT exam we take from any centers or authorised centers of examboard. Sir,i am studing in my final year of graduation(BCA) 5th sem.can i eligible for MAT test 2019…. I will complete my graduation in 2020…can I apply for mat exam in 2019? After 10 i have done pre university course for 1 year then graduation for 3 year.may i eligible for mat exam. i have done my graduation in 1990.may i eligible for mat 2019. For applying in MAT you should have bechelor’s degree. my graduation ll complete in 2019 so can i appear MAT exam in may 2019? ?nd result ll comeout in which month?? Is there any possibilities to change the exam centre city after submitting the form ? If i take up the MAT exam in 2019, will it be eligible for applying for Universities in 2019 itself? 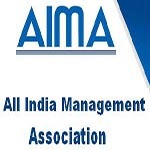 How many times appeared the MAT exam 2019 under AIMA? There is no limit of attempts to apply in MAT. sir i have got 49% in graduation ,,,,,,can i apply for MAT?? Check the eligibility criteria given in the article. i just want to know how many months or years will MAT marks be valid? What is the cut off for mat exam? ?